Originating in the Lower Rhine, the Mennonite family name Rittenhouse (Rittinghuysen, Rittinghausen, Ruddinghuysen, Rittershausen) dates back at least to 1591. There is no trace of the Rittenhouse family among the European Mennonites after William Rittenhouse came to Pennsylvania in 1688. Willem (William) Rittinghausen (1644-1708) was born in the Rhineland near Mühlheim, Germany, and was living in Amsterdam before he immigrated to America in 1688. He became the first Mennonite minister in America and builder of the first paper mill at Philadelphia in 1690. It is believed that all American Mennonite Rittenhouses have descended from him. Many American Mennonite Rittenhouses have remained in the place where their ancestors first settled (near Philadelphia in Montgomery, Bucks, and Berks counties), while some went to Canada with the Bucks County migration of 1799-1800. A few families moved to Wayne County, Ohio and a smaller number still, moved to Indiana, Michigan, and Alberta. Many descendents of the original family joined other faiths as well. Some notable members of the family, besides the pioneer William Rittenhouse, have been Matthias Rittenhouse (1770-1832), a minister in the Skippack (Pennsylvania) Mennonite Church (MC) congregation of the Franconia Conference, and Nicholas (Claes) Rittenhouse (1666-1734), son of William, one of the subscribers to the Dordrecht Confession of Faith at the 1725 conference. 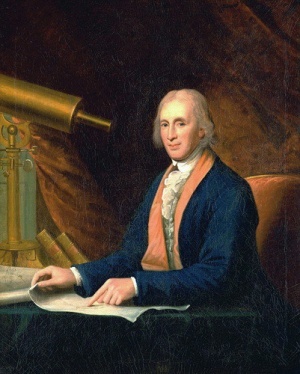 The most famous person bearing the family name was David Rittenhouse (1732-96), the Philadelphia astronomer and scientist and the first director of the United States mint, who was a son of Matthias of the third generation in America. He was not a member of the Mennonite Church. Cassel, D. K. A Genea-Biographical History of the Rittenhouse Family, 6 vols. Philadelphia, 1893-97. Ford, Edward. David Rittenhouse. Astronomer-Patriot 1732-1796. Philadelphia, 1946. Pennypacker, Samuel. W. Historical and Biographical Sketches. Philadelphia, 1883: 59-88. Clemens, James R. "Rittenhouse family." Global Anabaptist Mennonite Encyclopedia Online. 1959. Web. 23 Apr 2019. http://gameo.org/index.php?title=Rittenhouse_family&oldid=119511. Clemens, James R. (1959). Rittenhouse family. Global Anabaptist Mennonite Encyclopedia Online. Retrieved 23 April 2019, from http://gameo.org/index.php?title=Rittenhouse_family&oldid=119511. Adapted by permission of Herald Press, Harrisonburg, Virginia, from Mennonite Encyclopedia, Vol. 4, pp. 343-344. All rights reserved. This page was last modified on 12 April 2014, at 06:44.